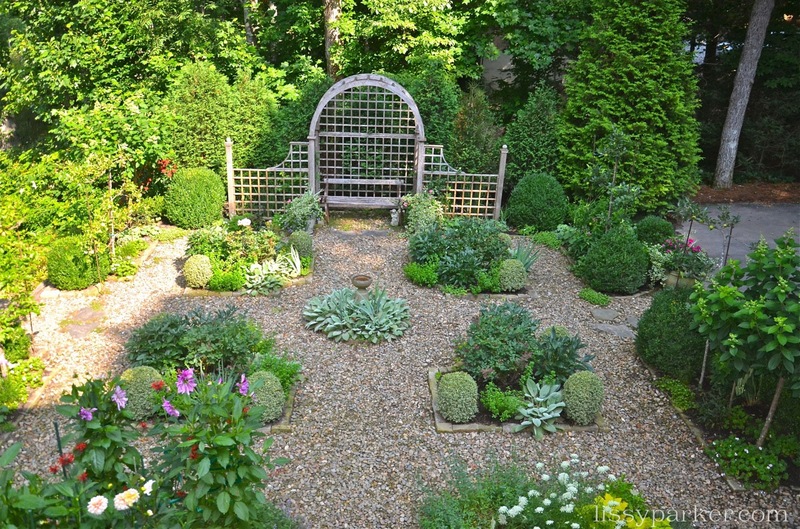 The Joy Garden Tour will feature the charming garden pictured below in addition to the garden I featured in my last post. It’s also in my new neighborhood. 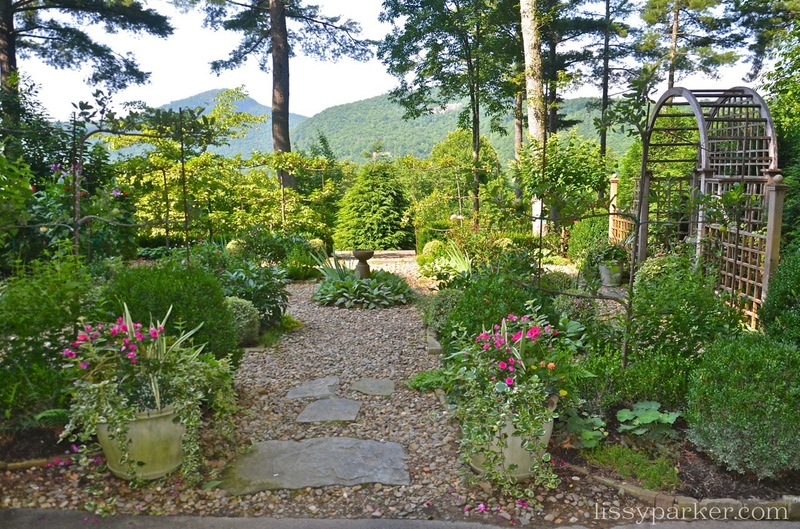 The garden was originally designed by Mary Palmer Dargan of Cashiers and Atlanta. The new lower sections and recent modifications were designed and installed by Planters of Atlanta and Highlands. 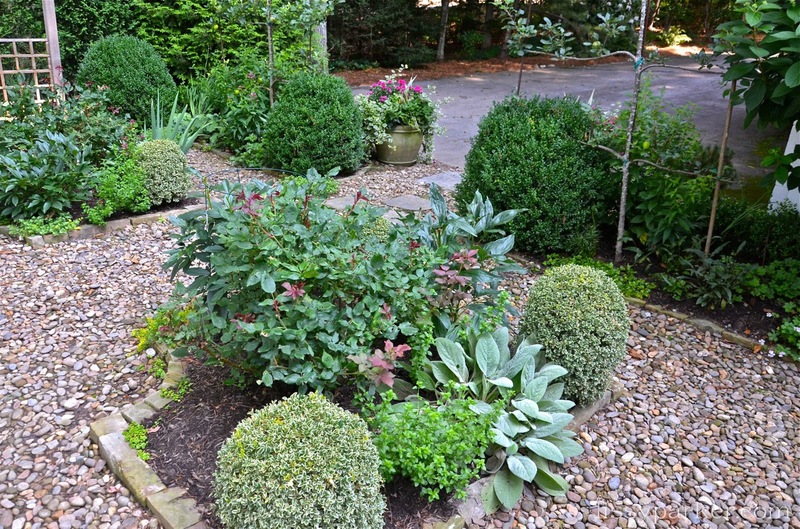 The garden, filled with boxwood and flowers, includes apple espaliers and gravel paths lined with stones. 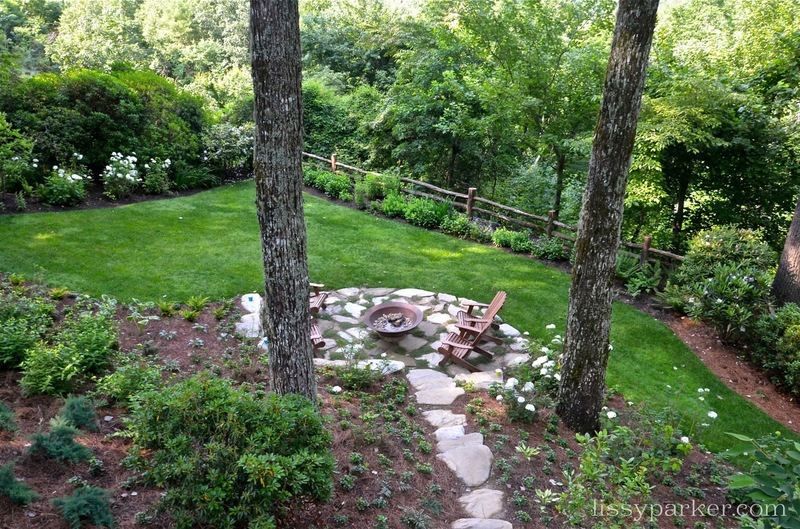 The stone fire pit sits on a lower grass area framed by rhododendron, boxwood and hydrangea. 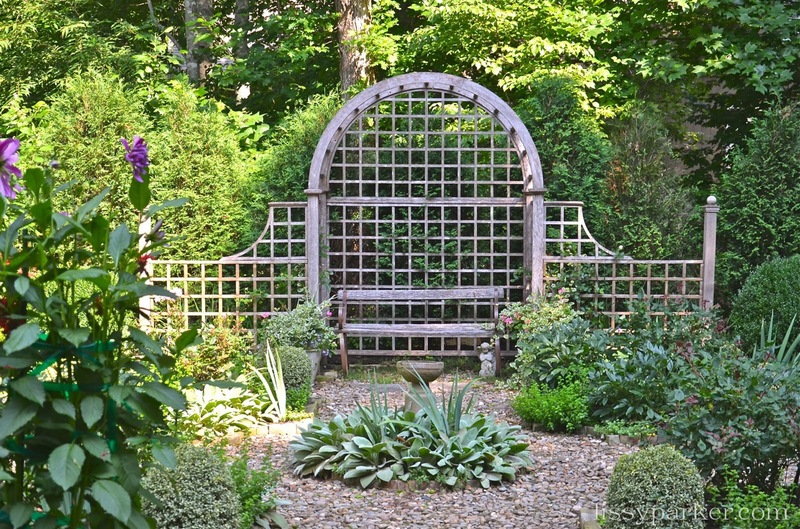 The lattice and arch bench has a wonderful mountain view and the matching arched gate hides a secret patio under the porch. I hope that all of you will make plans to visit these two gardens and the other three gardens on the tour this year. 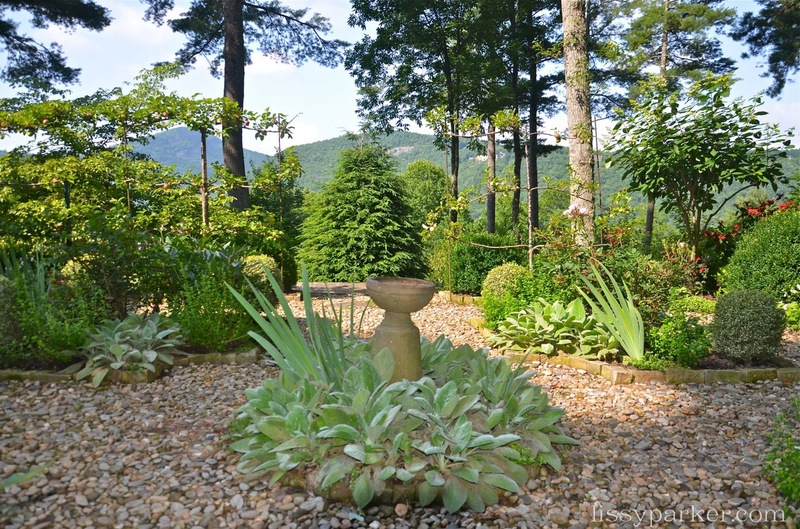 The Joy Garden Tour is held every two years here in Cashiers and always in July. Special thanks to my lovely neighbors for opening their gardens to the public—and to me, so that I could share the Joy with you. Welcome to the formal garden area. The center urn is surrounded by lambs ear and iris. Lattice gate contains the garden and leads to another patio. The View from the porch … wish this was my view. 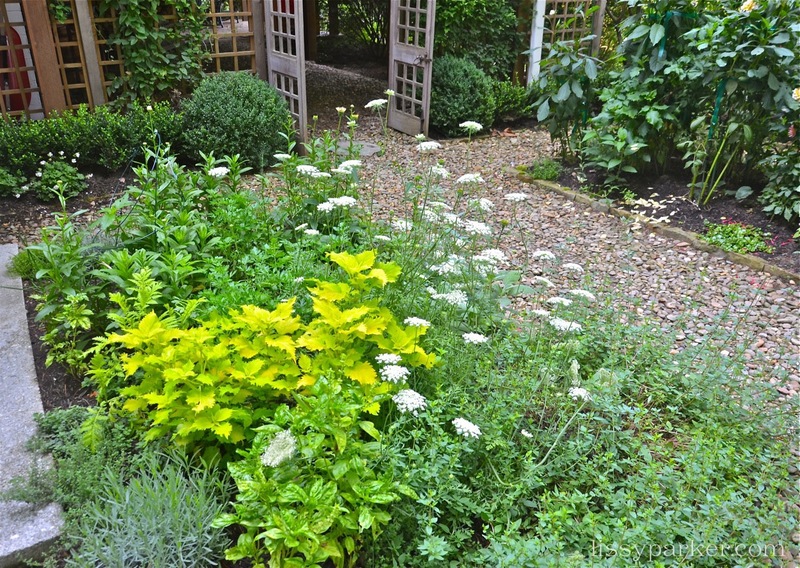 Flowers and herbs fill every bed. And the beds are anchored with boxwood and stone edging. 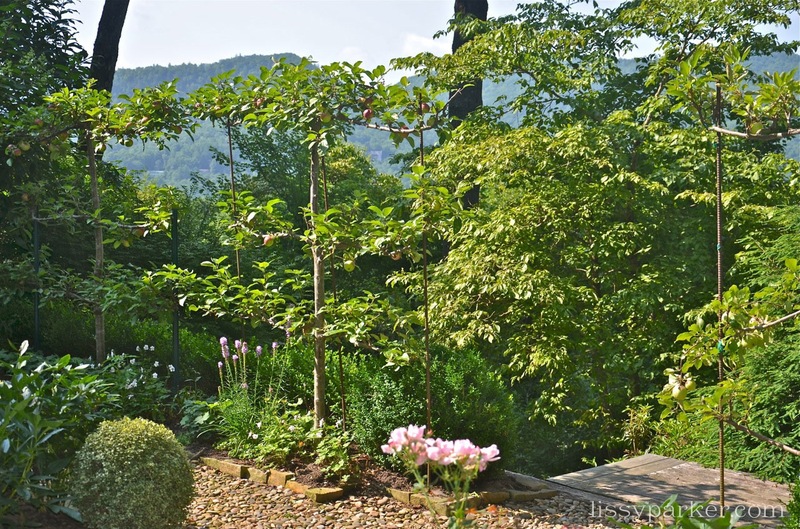 The lattice bench is a great place to view the garden and the mountains. I would never tire of this view. Espalier apple trees lead to the lower garden. 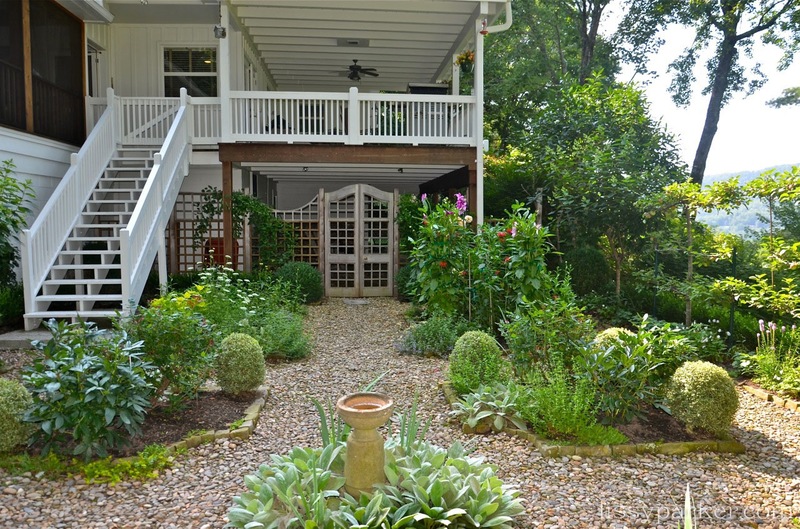 Lush green lawn is edged by a rustic fence and rhododendron, boxwood and hydrangea. Adirondack chairs surround the large sugar cane bowl used for the fire pit. 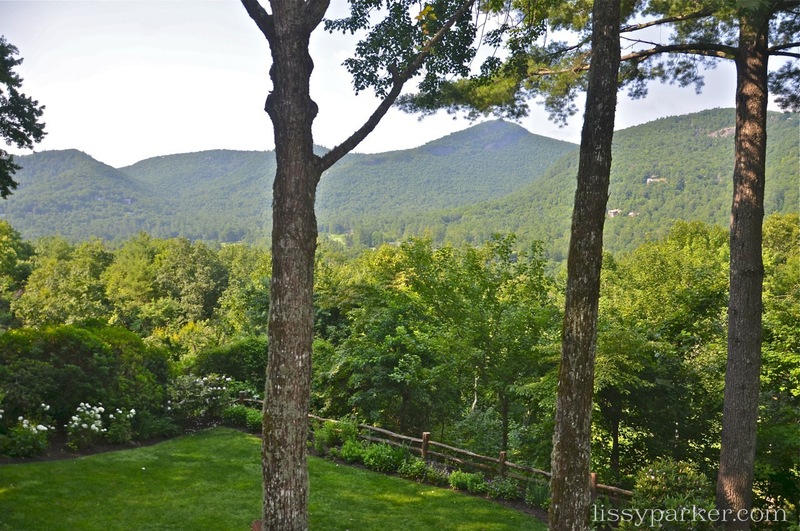 I met you last year at the tour of homes in Cashiers and just want to say I love your blog!! It is full of joy and creativity and beauty! Thank you! A friend and I are going to Highlands this weekend but sadly were unable to get tickets to the Joy Garden tour! 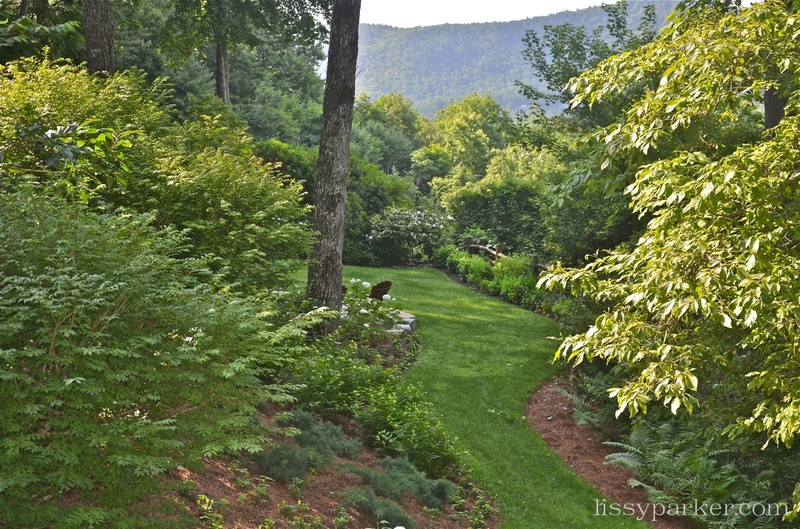 It’s been a treasure to see a couple of the gardens on your blog! I am so sorry—hate that. Thank you for your kind words and for following my blog. Maybe next year we can all get tickets! Such a lovely garden! Thanks for taking me on the virtual tour – I wish I could see it in person! Marsha, It really is a beautiful garden. You really do live in a “little piece of heaven” don’t you Lissie! Wish I could go on the tour! !